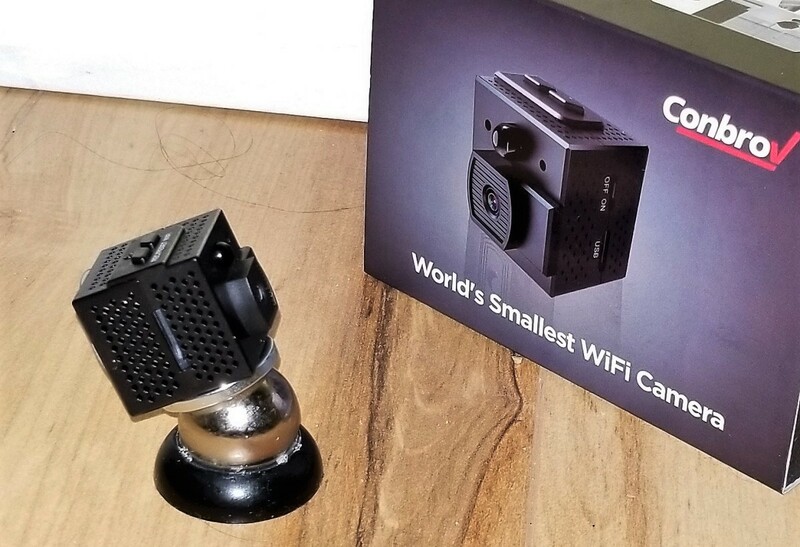 Conbrov's Mini Spy Camera ($76.99) is the world's smallest WiFi security camera at just under a cubic inch. This camera can live stream your home surroundings during the day or night, and all you need is a stable internet connection. 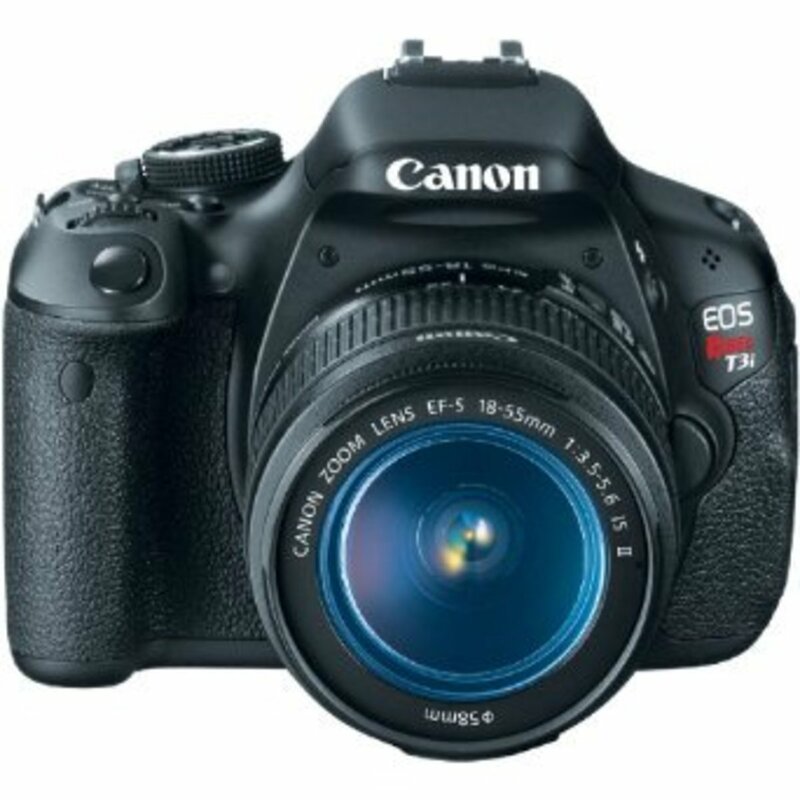 The camera comes with a multitude of magnetic attachments that you can use to place the device on any surface. It's also great for home security use. No worries, just insert a micro SD card and record up to 16 hours of footage to play back later. There's a lot more to unpack, so let's dive in and see if this device is truly worth it. The manual already provides a very extensive step-by-step setup process, but below are some of the most important steps that I've found. Note: You may have to format the SD card on your computer. The card should be formatted to the FAT32 format. Go into your phone's connection or WLAN settings and locate the device name (will start with "RCAM"). If your phone or app can't locate the camera, then turn the device off, check your home's connectivity settings, and try again. If the yellow blinking light doesn't turn on after 2 minutes, then press the WiFi button on the camera. The app allows you to do multiple things, and it's also the primary way to view your camera's recordings, photos, and live stream. Again, all this and more will be explained in the user manual. The most important features for consumers, live stream and recordings, are really easy to understand. And if you're using multiple cameras, then just click on the ones you'd like to view. Additionally, you can toggle cameras to send alarm notifications to your phone or e-mail when motion is detected. Note: The Alarm settings and push notifications will be turned on by default, but they can always be changed in the settings (gear tool) and system tab. So I'm sure you're thinking, "why should I buy this item", and that's a valid point. Hopefully this section will make things easier for you. Here are the six best features of the Conbrov Mini Spy Camera. Officially coming in at 0.95" on all sides, it's the smallest camera that I've ever had and wow is it discreet. You can use it to safely monitor your personal environment or if you're really feeling ambitious, use it as a body cam. The 75° wide angle lens works wonders by making the camera feel much larger than it is. I was also taken aback by how crisp and clear everything looked, and I'm very interested to see what else I can do with it. 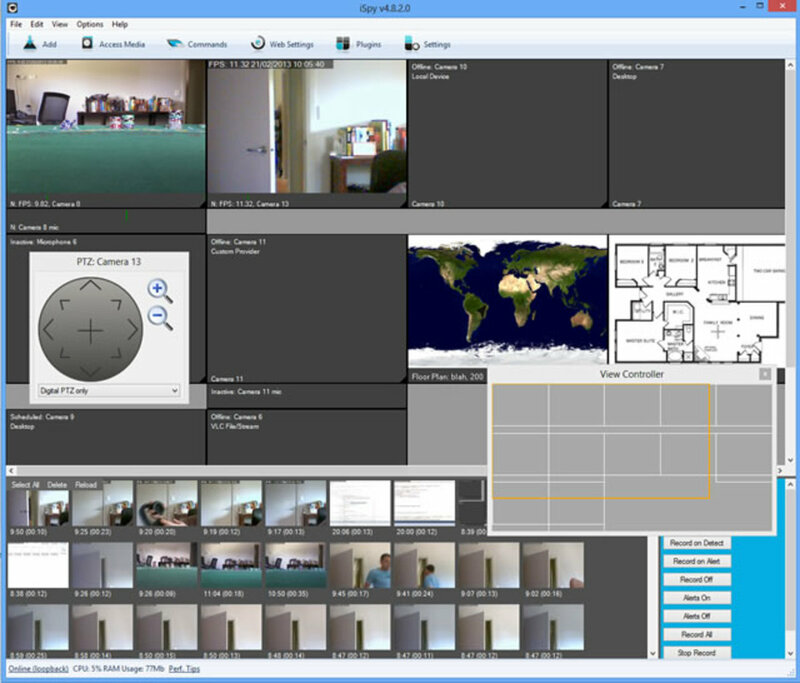 The resolution is maxed at 1280x960p, which is higher than a lot of security cameras today. More over, you get color and night vision offerings depending on how much light there is. So far everything I viewed was very clear, the colors came out great, and the night vision was greatly effective. The one con is that the camera isn't set to this resolution by default, and you must change the resolutions in the app yourself. This was done intentionally to avoid choppiness from poor internet speeds when streaming. Loop recording means that once you've run out of memory card space, anything that's newly recorded will override the older files (the "loop"). It's a simplified way to continue recording without having to manually delete the files on your SD card. It's also a good way to avoid purchasing an expensive micro SD card though that depends on how much data you'd like to keep. Because loop recording deletes your oldest data, it can be a downside if that's the information you need the most. 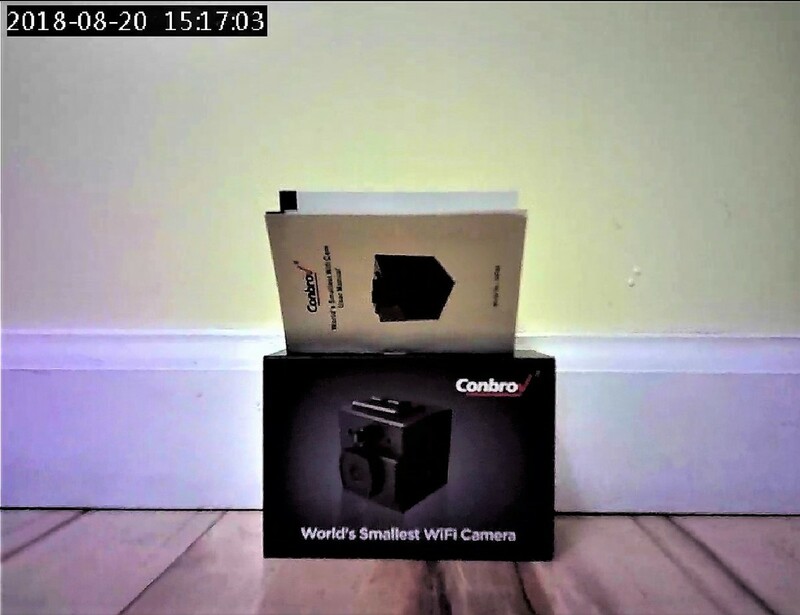 The Conbrov Mini Spy Cam is a motion sensing camera, and it'll let you know it no matter what time of day it is. This makes it very useful if there's say an intruder in your home, but it can get very annoying if it's just your pet constantly moving through. What I would recommend is to only enable the push notifications when you're sleeping or when you're away and nobody's in your house. That way you can avoid the hassle of nonstop, buzzing phone notifications. The mini cam supports a 4-128GB sized Class-10 micro SD card, meaning you can potentially record up to 16 hours of footage at a time. That's excellent for nighttime monitoring, if you have a sitter watching your kid or if you're at work, and combined with loop recording, you'll never have to worry about missing a beat. 128 GB is a lot of space, but you're not obligated to dish out cash for the biggest sized card. You should choose the size that works for you, and if you ever need additional space, then know you could always upgrade later. Along with the camera, you get multiple magnetic stickers, a clip, pasters, and a magnetic bracket to hold your gadget. The clip is great to "clip" on to your shirt/shirt pocket and use as a body cam, the stickers will turn any surface into a magnet, and the bracket cradles your camera in place and makes it easy to adjust when needed. The camera itself has a magnetic back, so you can place it on any metal surface including your refrigerator. I'm glad they included these accessories because they make the camera feel more distinct, and they're also just fun to play around with. It is my displeasure to list the most disappointing things about this product, and one of the them is very noticeable. Here are five worst features of the Conbrov Mini Spy Camera. I was hoping it would last longer than this but upon testing, 60 minutes is all you get. In fact it's even worse for nighttime recordings with a 30 minute maximum, meaning your camera would have to be plugged-in or connected to a power bank to survive. I guess that's the trade-off you get for its mini size, which suddenly doesn't look so small when attached to a dangling USB cable. The short on-times were a huge deal breaker for me, and it's easily the worst feature on the list. 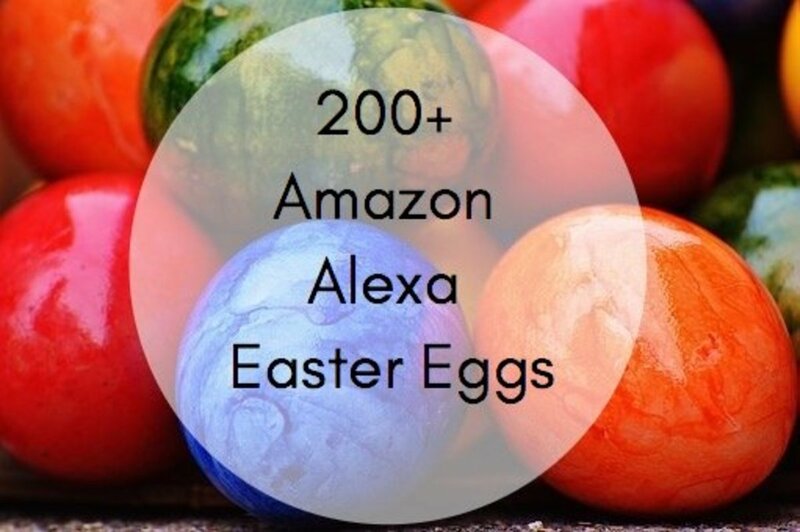 WiFi cameras from Amazon and Arlo have a lot more going on than Conbrov including storage size, Cloud updates, resolution, voice control, two-way audio, range, and more. Yes they're a lot larger and much more expensive, but occasionally the extra perks are worth the cost. Now I certainly don't want to degrade this product because there were many things that I did like, but I also can't ignore what's out there. The Conbrov Spy Cam's tiny size is great but it's not enough to supersede the more advanced security cameras. Although the device doesn't support two-way audio, it should support one-way audio...eventually. According to Conbrov, the audio is turned off by default due to US and Amazon regulations, and you'll have to contact them at support@conbrov.com so that they can send you the sound updating software for audio. That sounds a bit odd though I'm not familiar with these types of regulations. I wish their app provided the update instead of them having to send you one, but again I'm no regulation expert. I had several WiFi connectivity problems even after resetting the connection, re-adding the camera, and formatting the SD card. Sometimes the live stream would cut off or I flat out wasn't able to connect to the router despite my WiFi working perfectly. I tried to decrease the resolution, but that didn't do anything so it got very frustrating at times. Or maybe I'm just unlucky. When everything was connected it worked fine, but I always felt it could randomly disconnect at any point. The cam may be app controlled, but it very much relies on manual controls to get it to work. There's no automatic button that will turn it on/off, and there's no voice support like in some of the products described earlier. It would've been cool if I could tell my voice assistants to show me the streams on any screen or tell them to record and snap pictures whenever I wanted. 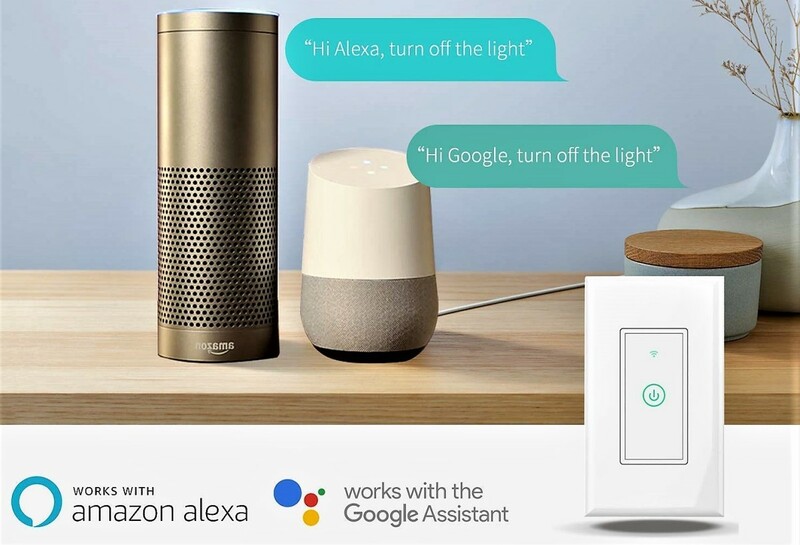 This is a minor gripe for me, but if you're heavily invested in smart home products, then this could be a significant deterrent. After testing the camera for a few days, I could see how some could love or hate the device, and I fall somewhere in the middle. 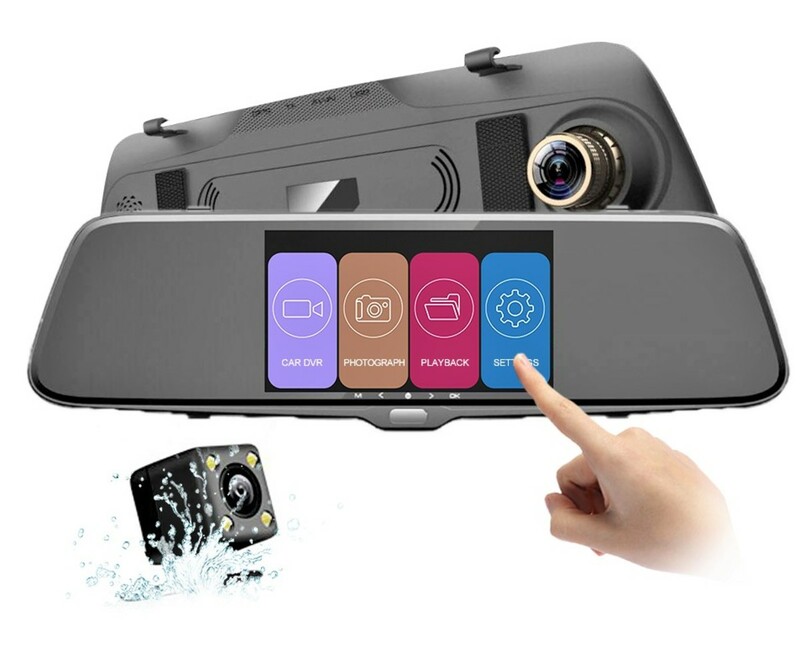 I would give the Conbrov Mini Spy Camera 3.5 out of 5 stars. The small size makes it feel adaptable, I loved the magnetic accessories, the loop recording is a practical feature, and the night vision camera worked great. I was also dazzled with how well the visuals looked given how small it was. Unfortunately, the high res and its small size weren't enough to overcome the low recording times. Furthermore, I had connection difficulties that I never experienced with other cameras. The non-audio default setting was understandable and the lack of voice control support didn't bother me, but for some that could be a huge step-down particularly if they've used advanced WiFi cameras. 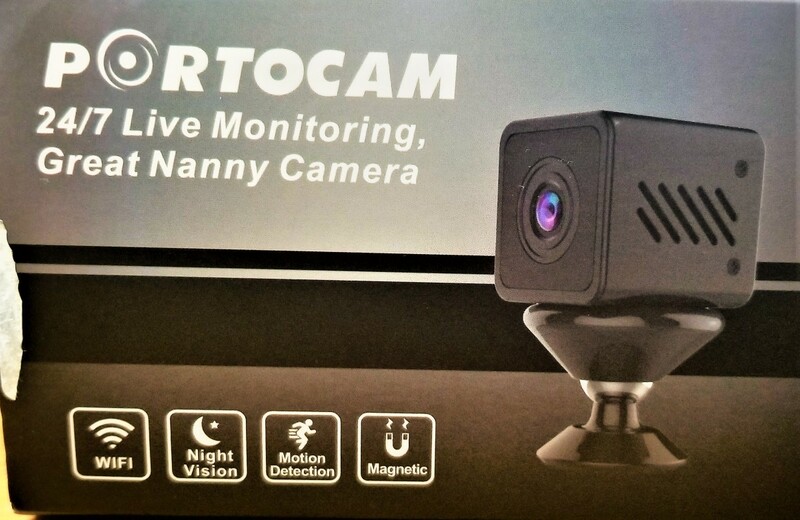 I think so...I felt that it was a good beginner product for those who have never used a WiFi/security camera, and the price is reasonable for what it does. If you can overlook some of the faults and missing features, then you should be okay with this product. And if you have no connection problems, then that's even better. As mentioned, I've never owned such a small camera and it's definitely interesting. So if you're also intrigued, then take a chance and purchase the Conbrov Mini Spy Camera. 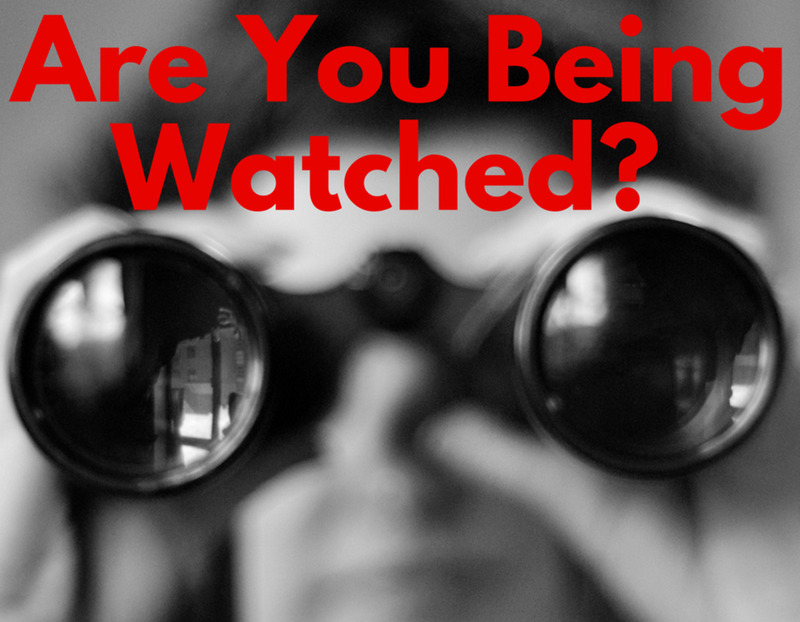 Would you ever purchase a security camera? That's unfortunate and scary to think about. You'd think criminals would wise up by now, it's not like they will get away with it. Thank you for sharing your story. Understandable, the amount of car thefts/breakages has soared over the last few years. I guess it would really depend on the camera, you can get an expensive system with really good night vision and range, but I can see how people might take advantage of that. Oh my gosh that's terrible! I can't imagine what that must have been like, she didn't deserve any of that. At least you caught him, but still the whole entire must have felt numbing to everyone. The other things it caught sound extremely troubling, I'm so sorry. We have relatives who received an alert on a smartphone from a camera sst up for their dog. They saw burglars breaking into their house in the UK while they were on holiday. Security surveillance is everywhere. With someone or people getting into unlocked cars in my area, we have been thinking about a security camera of some sort. My concern would be the limited night vision and if it could be stolen easily if placed outside. Good info though, thanks for writing about it! My grandmother had someone who was known but not loved by her climb through her dog door when she wasn’t home and steal a big screen tv, two other TVs, medicine, her purse and the keys to her car. He came back and stole additional items. The police told us to install inside security cameras and he was busted. Of course, it also caught on tape some other things you wouldn’t want to see.